Stuck at work? Tired of waiting in traffic? Can’t leave the house? Whatever the reason, forget the keys and let us come to you! San Diego’s favorite mobile notary, La Jolla Mobile Notary is a company comprised of licensed and bonded Notary Publics who are experienced in notarizing documents in the fields of legal, banking, medical, real estate, and more. What Exactly Is A “Notary Public? Notary Publics, commonly known as “notaries”, are licensed professionals who personally witness the signing of a document while positively identifying the person who signs it. The purpose of this is to ensure that there is no question about the identity of who is actually signing a document. 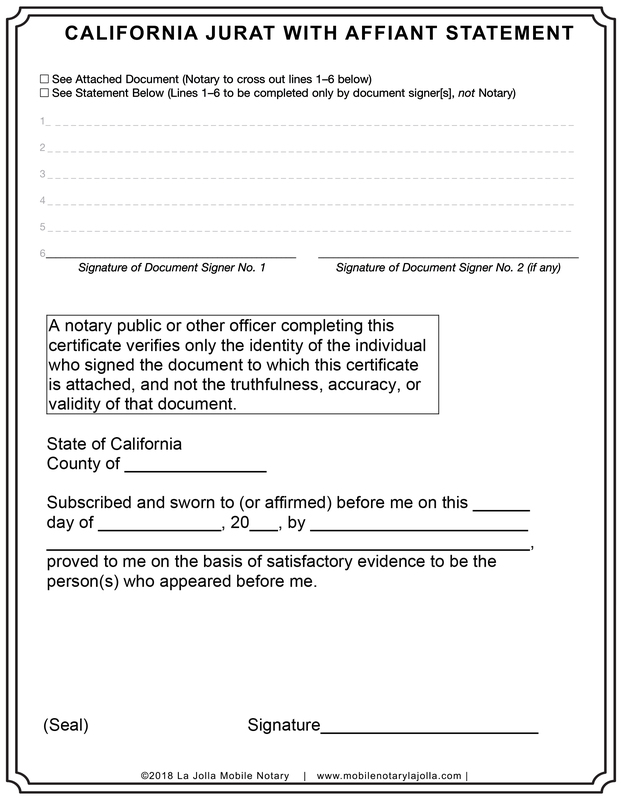 This is usually due to the fact that documents that require notarizations are legal documents and the authenticity of the signature on the particular document(s) must be approved by someone who is trained and licensed under the state of California. In California, Notary Publics are required to take an exam every 4 years in order to obtain and maintain their license. Every year the notary laws change, so it is important for us to keep up with these changes. Rest assured that the notaries at La Jolla Mobile Notary are fully licensed and bonded by the state of California and are up-to-date on all of the most recent laws. So I don't have to drive anywhere?! coffee shops, and more. Let us do the traveling because you don’t have to. Mobile notary for any documents requiring a notary, Estate planning mobile nоtаrу, loan documents mobile notary, real estate transaction mobile notary, hospital mobile notary, and rehab facility mobile notary. 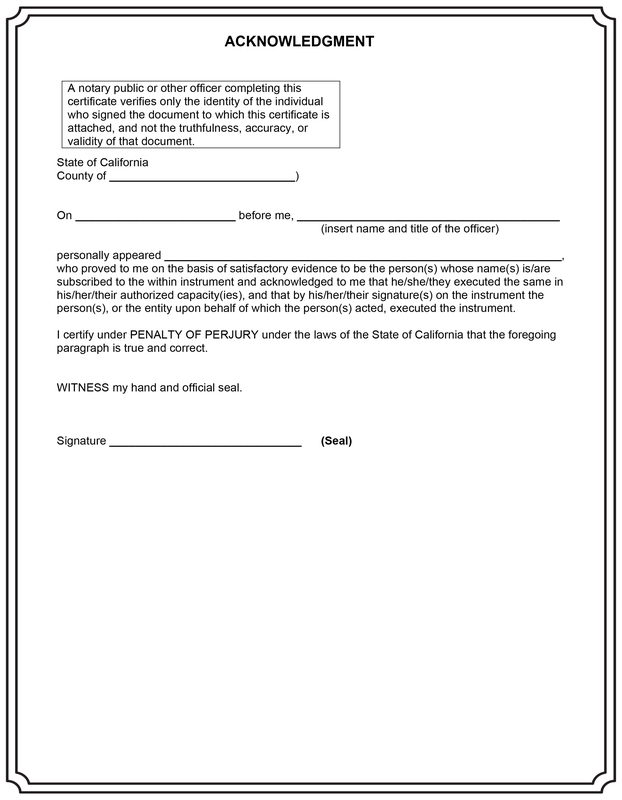 For a Notary Public to notarize your signature, you must sign it in the physical presence of the Notary. Generally speaking, it is best to wait until the Notary tells you that you can sign, as you may need to swear an oath first, for example. The most common mistake we see is customers coming in with documents already signed. Usually, this is easily rectified. You simply sign the document again in front of the Notary. However, it is, of course, a little messy. And it may not be accepted in your particular circumstances. If you want to be sure, contact your counsel, or the organization that you are sending the document to, and ask. If possible, bring a spare copy, just in case. Are your loan documents at local La Jolla or San Diego escrow office? 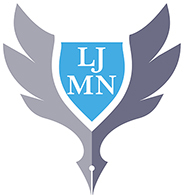 La Jоllа Mobile Notary can реrѕоnаllу pick uр уоur dосumеntѕ from the escrow office and then meet for signatures to be completed and finally the notary will deliver аnd rеturn the documents back to escrow.